Select PC type. 'This computer (CPU)' corresponds to your PC search speed. If you want to check the password recovery speed of your GPU device, select 'This computer (GPU)' item and click 'Adjust' button. 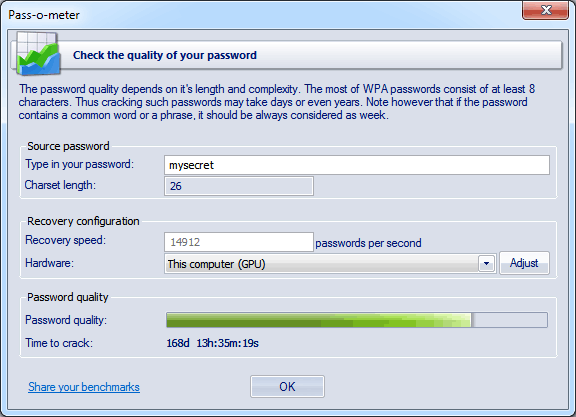 After you set a test password, 'Password quality' group at the bottom should display the strength of your WPA password, as well as the time required to break it using the selected hardware. You're very welcome to share your speed benchmarks with us.